There are plenty of amazing hotspots for Mexico fishing. Through an assorted variety of both fish species and bodies of water (rivers, lakes and seas) to select from, you can go to a different area on every occasion you visit. This is without a doubt the case with Bucerias. Bucerias Fishing Destinations are a handful of the top across the world. Make use of the amazing conditions in Mexico and retain the services of a Bucerias Fishing Guide or full Bucerias Fishing Charter for an extremely good fishing experience. Bucerias Fishing Guides are localized pros who are familiar with the very best spots to look for local species of fish. Guides can take you to calm and secluded secret spots that are sure to get you a fish. Bucerias Fishing Guides can suggest the most suitable gear to make sure your Bucerias fishing adventure is the best possible. For bigger groups and outings, in particular on the ocean, Bucerias Fishing Charters will be the solution to use. There are many reasons for going this course. 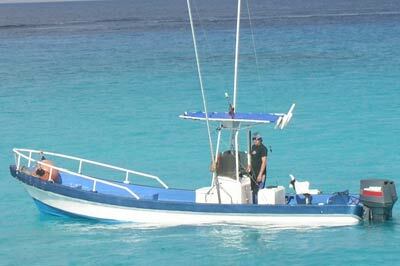 Bucerias Fishing Charters supply you with most of the items, together with crew for your fishing adventure. This includes fishing rods, tackle, lures and any other gear needed. Bucerías meaning “place of divers” is a small fishing village located in the Mexican state of Nayarit on a stretch of that country’s Pacific coast known as the Riviera Nayarit, between La Cruz de Huanacaxtle and Nuevo Vallarta. It is known for open-water fishing for species such as sailfish and marlin dorado and the Bucerias Fishing Guides and Charters that help you find them. I will like to have information about fly fishing at Bucerias, is it possible to do fly fishing over there, what kind of fish can we catch at this moment, do you have all of material for fly fishing or is it necessary to bring my own rod and reel, where are you located at Bucerias and the price for a half of day or all the day. Hi Normand and thanks for stopping by. We are actually based in the U.S. but work with many charters and guides in Mexico and elsewhere. Bucerias does offer great sport fishing opportunities including fly fishing; but if fly fishing is what you want, then I would recommend you head to the small, picturesque fishing village of Sayulita there in Nayarit. It’s only about 13 miles northwest from Bucerias, and there you will find Captain Pablo’s Adventures – http://captainpablo.com/. He is an American expat who left Oregon 20 years ago , where he was a fishing guide, for Mexico. He knows his fishing and offers fly fishing guided trips. He does provide the gear, but you can also bring your own. All trip info including prices, seasonal info, etc. can be found on his website.